VERNON, B.C. – The Chopped Leaf is welcoming the New Year with a brand-new location in Vernon, B.C. 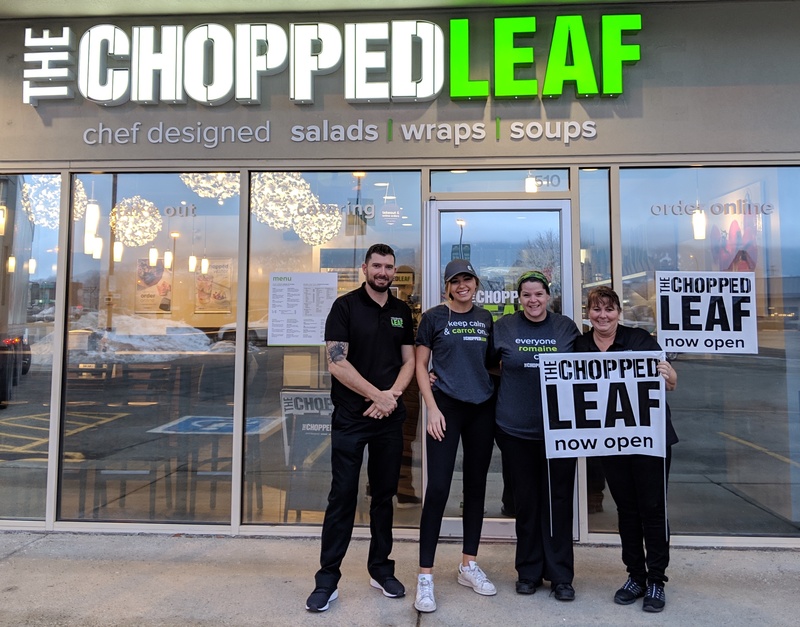 The entire Chopped Leaf team is thrilled to welcome Franchise Partner, Tracey Toutant who is eager to bring delicious food to her community. The picturesque city of Vernon is the perfect backdrop for The Chopped Leaf’s signature flavours and one of a kind recipes. No matter the dietary need, The Chopped Leaf has something for everyone. With chef designed salads, soups, and wraps and an array of options for vegetarian, vegan and gluten free diets. So glad to see Chopped Leaf in my home town of Vernon! We use to always make a stop at the Chopped Leaf in Kelowna when we were there but now I can go anytime I want given its minutes from my work! Planning on going to the new location today for lunch!